School’s out for summer, and deals on rooms and activities make the summer months the perfect time to pack up the kids and head to St. Thomas for an affordable island getaway at Bolongo Bay. Book a St. Thomas vacation now through the end of the year and you’ll get $300 in credits to spend on tours and activities from the U.S. Virgin Islands’ Department of Tourism — part of the USVI’s Centennial celebration. Plus, Bolongo Bay is offering a 30% discount on all-inclusive and room-only packages through Oct. 31. Sailing, including excursions for snorkeling and diving in calm summer waters. Bolongo Bay’s own catamaran, Heavenly Days, offers a variety of sails, including a kid-friendly sea-turtle expedition, a romantic sunset harbor cruise for mom and dad, and an all-day sail-and-beach trip to St. John. 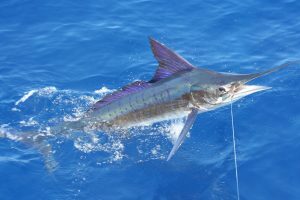 Fishing: Summer is a great time to charter a deep-sea fishing trip or take part in a fishing tournament; the Bastille Day Kingfish Tournament takes place each July on St. Thomas, while the USVI Open/Atlantic Blue Marlin Tournament casts off in August. Learn to kayak, paddleboard, sail, or windsurf under the guidance of Bolongo Bay’s expert watersports team — again, the placid summer surf is your friend here! Summer events like the annual Coal Pot Cook Off, a traditional food festival held in July; Jazz concerts in St. Thomas’ Roosevelt Park, and the annual Love City Triathlon in September on St. John (yes, it’s still summer in the Caribbean in September!). 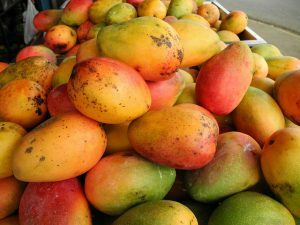 Finally, don’t forget the fruit — summer is mango season in St. Thomas, making this the perfect season to buy produce from local vendors and sweeten up your vacation! Visit the USVI Tourism site for more information on the Centennial promotion, and book your Bolongo Bay stay using promo code “Beach” to get your 30% off deal.